Hi everyone! 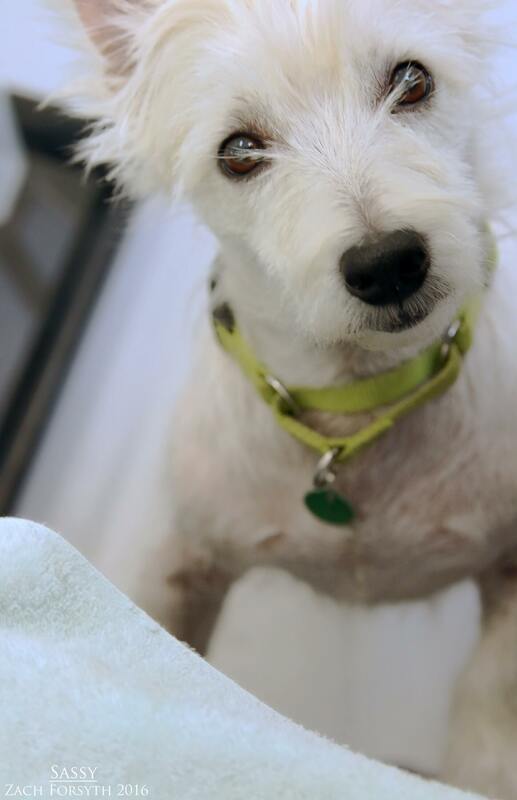 My name is Sassy and I am a sweet & spicy 6-year-old Westie. I am a funny lady who not only steals your heart but your chair too! I’ve been hanging out with the girls in the Pixie office and I just love to cuddle on their laps or take their nice warm spot in their chair when they leave. When I am not snuggling, my feisty side comes out and I have blast playing with my human friends over 6, toys or other puppy pals. I am a little too interested in those kitties, so none in my home, please! Being a terrier I am very smart, am already potty trained, and know some of the basics like sit. And I am always happy to learn more! Always entertaining, my name describes me perfectly as I prance around the room with confidence and pride eager to find new friends. With a little bit of sugar, spice, and everything nice, I am just the perfect pup looking for my partner in crime. Will it be you? Fill out an application today, so we can meet. I come to you spayed, vaccinated, and micro-chipped with an adoption fee of $300.